Nobody has to tell you to go above and beyond everyday. It's just a part of the job. It's why SKILSAW built a 12 inch Dry Cut Saw to cut like a 14 inch With an impressive 4-1/2 inch cutting capacity in a compact frame, you can handle big jobs and move easily from shop to site. The powerful 15 Amp motor and no load 1,500 RPM cuts faster and cleaner than a chop saw- no deburring needed. And with soft-start, you'll get a motor that runs smoother and longer for more cuts. Add to that the included Diablo Cermet-tipped blade, and you've got a serious metal machine. 15 Amp 12 inch Dry Cut Saw for Metal Cutting with Diablo 60-Tooth Cermet-Tipped Carbide Blade Nobody has to tell you to go above and beyond everyday. It's just a part of the job. 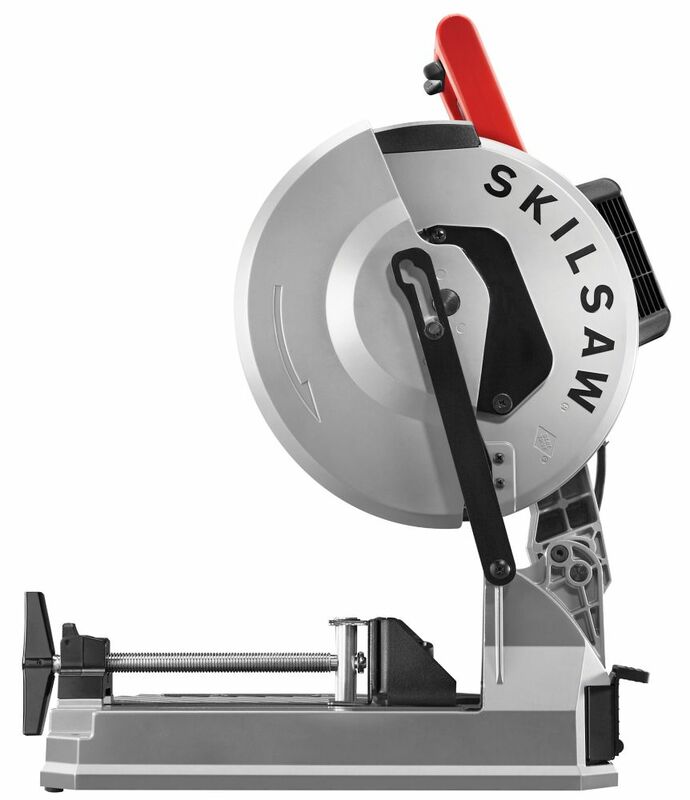 It's why SKILSAW built a 12 inch Dry Cut Saw to cut like a 14 inch With an impressive 4-1/2 inch cutting capacity in a compact frame, you can handle big jobs and move easily from shop to site. The powerful 15 Amp motor and no load 1,500 RPM cuts faster and cleaner than a chop saw- no deburring needed. And with soft-start, you'll get a motor that runs smoother and longer for more cuts. Add to that the included Diablo Cermet-tipped blade, and you've got a serious metal machine. 15 Amp 12 inch Dry Cut Saw for Metal Cutting with Diablo 60-Tooth Cermet-Tipped Carbide Blade is rated 5.0 out of 5 by 3. Rated 5 out of 5 by IllinoisMike from Cuts through metal like a hot knife cuts through butter. Plenty of power and the soft start motor... Cuts through metal like a hot knife cuts through butter. Plenty of power and the soft start motor feature is an excellent idea to prolong motor life. Saw cuts very clean and accurate - 90 and 45 degrees. Have not tried any other angles yet. I was also looking at the Makita LC1230 but decided on the Skilsaw instead. I am very happy with this purchase. This saw has a nice heavy base - not a stamped steel one. Rated 5 out of 5 by Brandon from Excellent saw. The reason I picked this over the Evolution... Excellent saw. The reason I picked this over the Evolution was that this one had a cast aluminum base with the ability to extend. This solid base allows me to clamp pieces to be cut without the base bending.